Sunnylea is a pretty limestone cottage, hidden away in a backwater, close to the centre of the typical 'White Peak' village of Great Longstone. Just four miles from the market town of Bakewell it is central to all the attractions of the Peak District. Local villages have fetes and flower festivals during the summer, and you will never be far away from tea and cake! When you return to Sunnylea, you might simply relax in the sunny south-west facing garden, or in the winter months, in front of the open range. However, should you wish to eat out, the village has two pubs serving good food within a five minute walk. A 15 minute walk over the fields will take you to the Packhorse in Little Longstone, an unspoilt country pub, popular with walkers, which also serves good food. 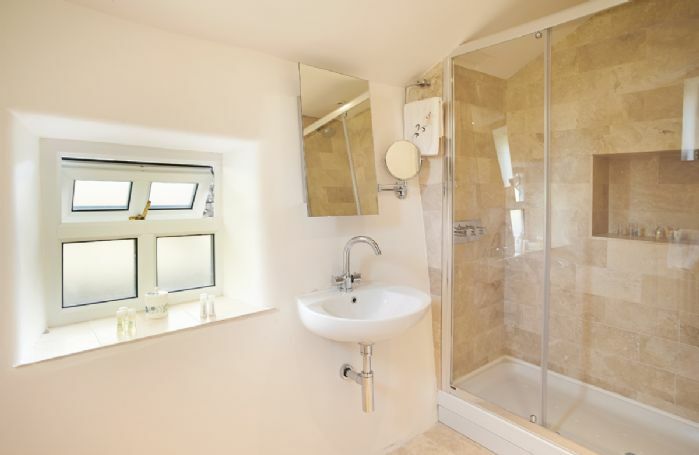 Ground floor shower room and wc on the first floor. Parking for one vehicle in addition to plenty of local free parking. Children must be seven years old or over, a small baby in own moses basket (up to six months) welcome. Gas hob and electric oven, microwave, fridge with freezer compartment, washer/dryer, dishwasher. Television, DVD player, CD player, iPod docking station, radio. Pay as you go mobile phone. There are countless opportunities for walking, cycling and climbing. Excursions might include Chatsworth, Haddon and Eyam Hall, the Castleton Caverns and Buxton Opera House. The Monsal trail passes by less than half a mile from the village and numerous footpaths mean that you can walk from the door.